We always love to hear about our customers’ restoration projects but when we get word that a customer wants to tell us about their experiences with Polytrol, we can’t help but feel a fizz of excitement for one of our favorite products. A deep penetrating oil, Polytrol not only restores color on a wide range of surfaces but also protects against blemishes and corrosion. 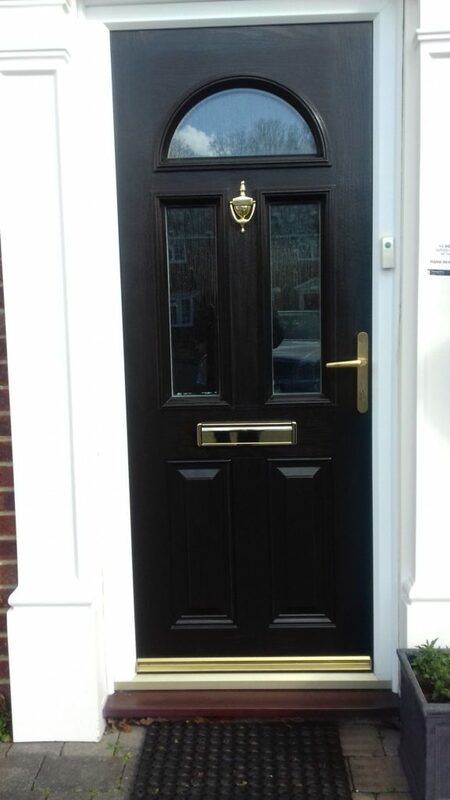 Paul got in touch when he was looking for a product to revive a customer’s faded composite door and we recommended Polytrol. He’s sent us some photos of the project before and after he’d completed it and some instructions on how he did it. We couldn’t wait to see the photos and share them with our other customers. I’m sure you’ll agree that the transformation is nothing short of marvellous! Firstly, we had to prepare the door. We did this by removing any dirt, grease, grime or mildew from it. If there had been any wax or polishes on the door, we would also have needed to remove this but there were not. We cleaned the door with warm, soapy water then rinsed thoroughly. Although we didn’t have any mildew on the door, if you do, don’t worry. Mildew can be treated with a 50:50 bleach and water solution. Just scrub it on, leave it for 10-15 minutes, then rinse it off. After cleaning, we then left the door to dry for 24 hours before applying Polytrol. Make sure that your door is completely dry before moving on to the next step! We then liberally applied Polytrol with a brush (you could also use a cloth) and then left it to work for 10-20 minutes. Before it started to become tacky, we then wiped off any excess with a clean, lint-free cloth. Then we left it to dry. 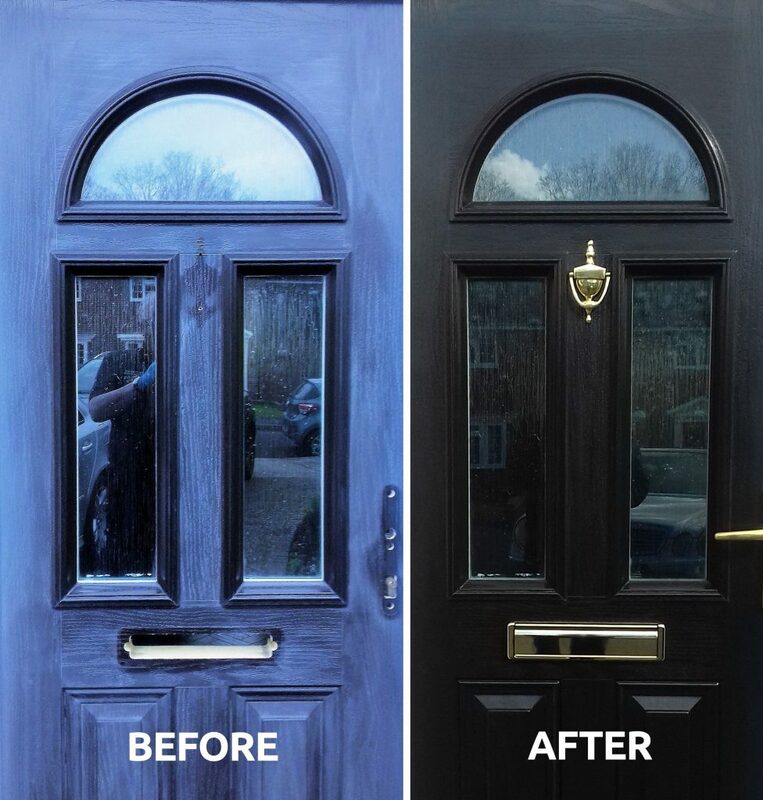 The door didn’t take us longer than 20 minutes so we could do it all in one go but if it will take you any longer than 20 minutes, you will need to work within areas that can be completed within this time-frame. To achieve the shiny finish, we then buffed the surface with a lint-free polishing cloth. After finishing, we cleaned the brush with white spirits. 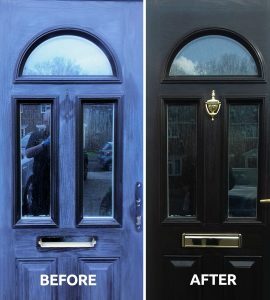 This satisfied customer used Polytrol to revive their composite front door but it is also great for a wide range of other uses, including brightening faded car bumpers and reviving the gelcoat on your boat! 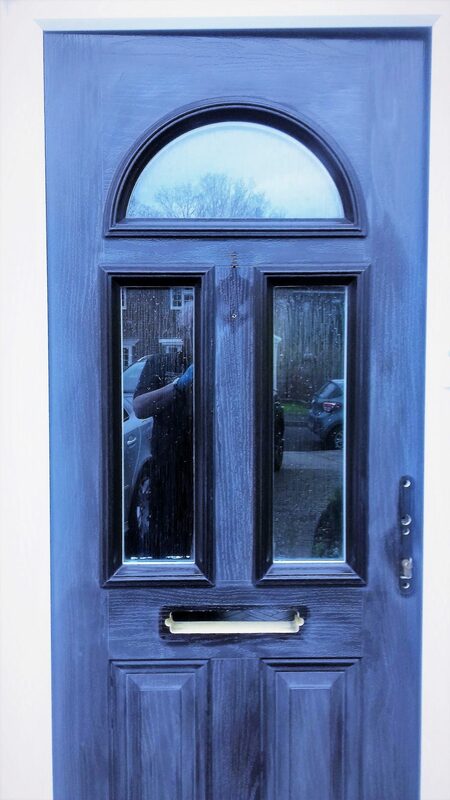 We love seeing photos of our customers’ renovation projects – why not send us yours? Feel free to contact us today!